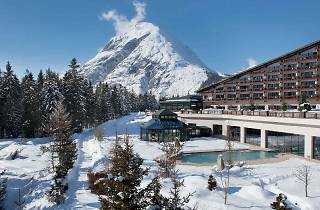 A five-star superior hotel nestled in the Tyrolean alps. 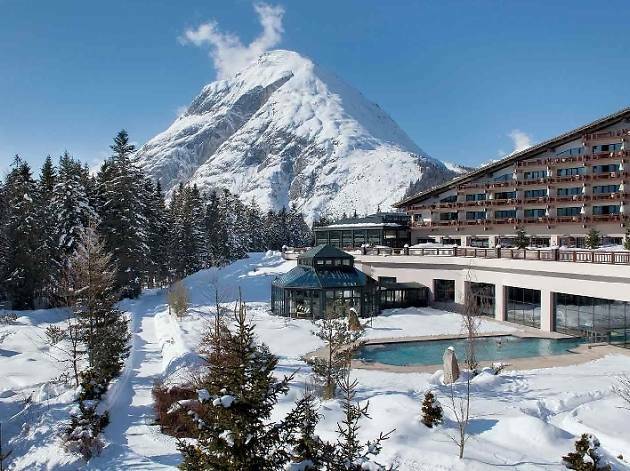 This luxury spa hotel is located just over the border from Switzerland in the Austrian Tyrol. 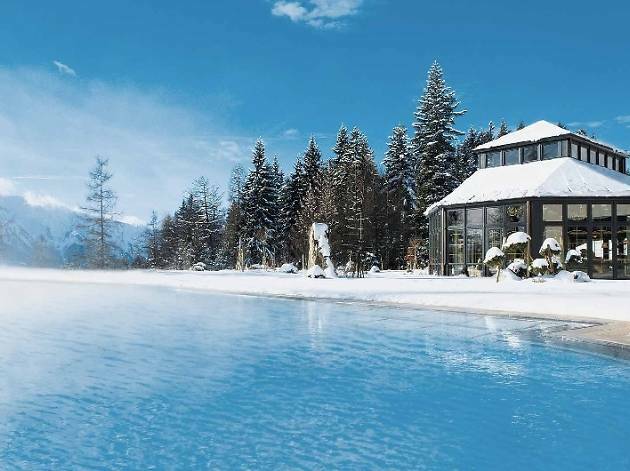 It boasts a whopping 5,000 square metre spa and wellness area with a large outdoor heated-pool for year-round use, an indoor pool, a "sauna village" with its own bakery (for that fresh-bread smell), and a spa garden. 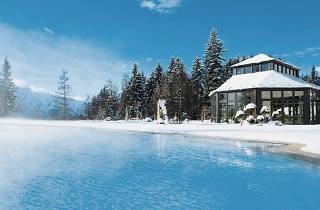 The hotel's dining options include a gourmet restaurant where you can book the chef's table with the Interalpen's award-winning head chef Mario Döring. 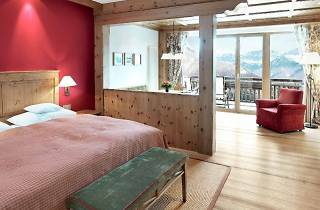 Or you can opt for more traditional fare at the main hotel restaurant, decked out in alpine style with red-checked tablecloths and wood. 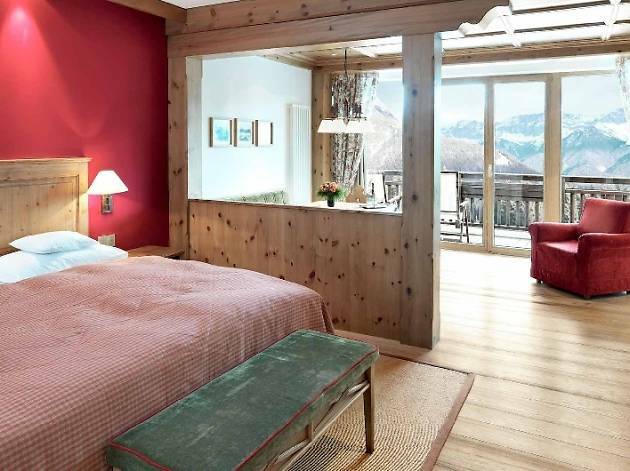 The bedrooms are cozy yet stylish and, for active types, the hotel offers a full programme of year-round sport. 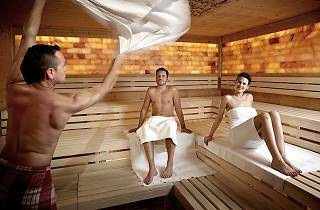 There's also family friendly options including babysitting and kids' activities.